Chicago Metallic has built an unmatched reputation as the "Bakeware Experts" by delivering high performance products employing premium materials and construction. Better product for a "Betterbake". This classic Betterbake collection is perfect for the everyday user to sometimes baker; the results will always be the same. Cookies, meatloaf or cake, Betterbake has it covered. Each Betterbake piece features an easy release, non-stick coating, a 10 year warranty and is dishwasher safe. 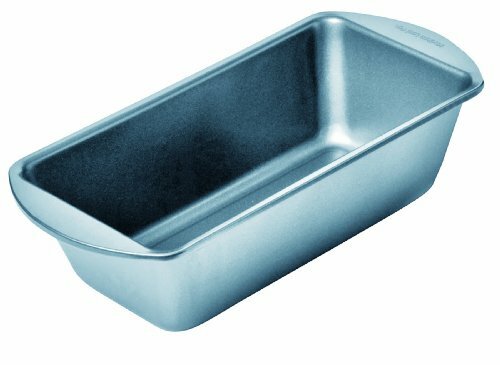 This Betterbake non-stick medium loaf pan comes with exteded sides for an easy grip. The inside pan measures 8-1/2 by 4-1/2 by 2-1/2-Inch.